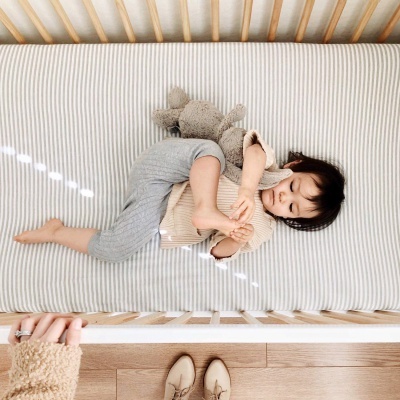 Cribs can be a wonderful, cozy place for little ones to dream the night away, but ultimately, it is the crib sheets and covers that touches their skin. You’ll want something soft, easy to clean, safe, and possibly with a cute design. They will need to be fitted so that they won’t bunch up or slip out from under the mattress and preferably hypoallergenic. Manufacturers have created some excellent crib sheets that come in an assortment of designs, colors, and styles that are perfect for your infant. This beneficial buying guide highlights the best-rated and the most-reviewed of these items that customers love and are recommending to others online. Take a look at our top ten crib sheets, curated specifically for the best night’s sleep a baby could possibly want. This guide has recently been revisited by our research and updates team. All products should be accounted for, in stock, and come highly recommended by other users, just like yourself. We hope you and your little one have only the sweetest dreams on these crib sheets! Covered with whimsical colorful designs of elephants and whales, the Brolex Stretchy Fitted Sheet is perfect for both boys and girls. It fits most crib mattresses of standard size and is made of high-quality jersey knit material that is super-soft. This lovely material helps prevent skin infections, irritations, and rashes since it is not harsh to the tender skin of the infant. It can be machine washed and dried, plus the terrific sheet will remain in place during use. The mattress topper has an elastic edging, so the bed is easy to make and is comprised of a mixture of polyester and spandex fabrics to make it comfortable to handle. Babies love soft fabrics to sleep and nap on, so this jersey knit sheet will be a favorite. Parents love it too because it feels incredibly soft to the touch. Softness equals comfort for the relaxed infant. As a fitted sheet, this item could not be any easier to use. you simply place it on the mattress and wrap the elastic edges over the corners of the crib mattress. It can be machine washed to make it super simple to care for, as well. 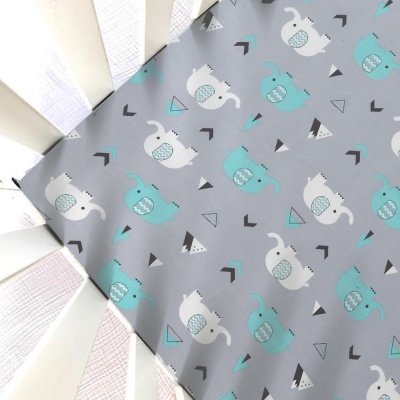 The cute design of elephants and whales in a colorful pattern makes this sheet an adorable one for the baby. It is perfect for both girls and boys and a multitude of nursery themes and hues. The fabrics used to create this wonderful crib sheet make it valuable for the infant in terms of comfort and prevention of skin problems. Because it is a jersey knit, it will be one of the softest sheets you can buy. Available in fourteen different colors and patterns, this Burt’s Bees Thin Stripes sheet has a snug and safe fit with the extra stretch in the premium elastic. This wonderful sheet will not creep off the mattress because of the extra material that overlaps on the edge bottom combined with the elastic perimeter. 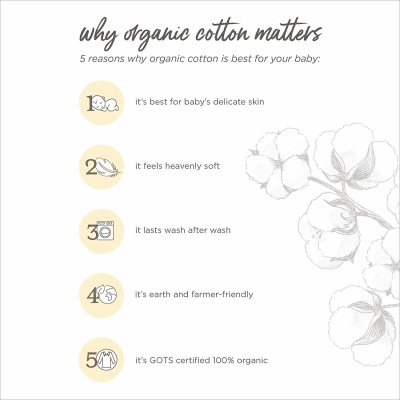 Made of 100% GOTS certified, organic, breathable cotton fabric that is terrific for the infant’s porous and thin skin, it fits standard mattresses of most toddler beds and cribs. 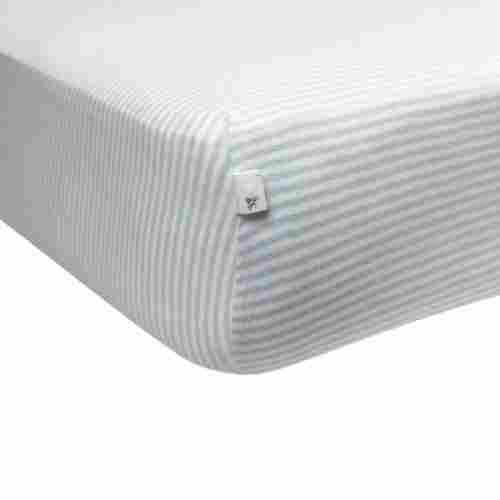 The whole bottom edge of the sheet is fully encased with the elastic edging for the best fit. The terrific material is just like a favorite t-shirt in softness, as it will not irritate sensitive skin. It is ring-spun and combed for softness, durability, and washing without pilling. Because it feels just like t-shirt material, your baby will love sleeping and napping on this sheet. You will also adore touching it to put it on the mattress for your little one to enjoy. Fitted sheets are very easy to place on the mattress of either the crib or a toddler’s bed. It simply catches around the corners and all of the sides with the complete perimeter of elastic and extra fabric on the bottom. Not only is this wonderful sheet made to be very accommodating to sensitive and delicate skin, but it also has added security built in to keep it safely on the mattress at all times. Although this is one of the pricier sheets because of its high-quality, you will enjoy how long it lasts and its incredible durability. It is a fantastic value for the cost when it comes to longevity. This wonderfully comfortable Amazon brand sheet is made of 100% cotton jersey material and comes in five various colors. It has a softness and slight stretch just as a t-shirt does and can be machine washed and dried. This excellent product will coordinate simply with the décor and theme of any nursery, as the colors have an effect that is heathered for an interesting look. 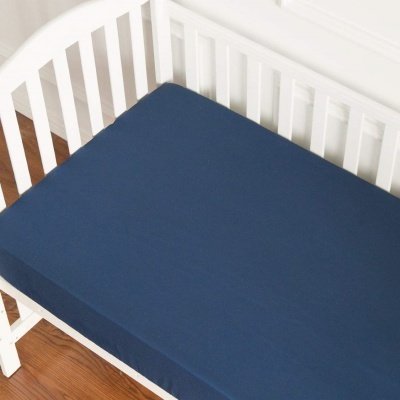 It fits well on mattresses for cribs that are as much as six-inches thick. Moisture-wicking and breathable, this fabric is ideal for all seasons and will remain in place on the mattress for the best safety and comfort. It meets environmental and safety standards of the textiles industry. It seems that plenty of infant sheets are now made of this super soft t-shirt material to be very comforting for the child. it is much softer than regular sheet fibers and is sensitive to those with skin issues. Fitted sheets are very easy to use for the mattress because there is no need to fold them underneath. They fit exactly as they should with a firmness and tightness that is perfect. There are five available colors for this item, so choose the one that best suits your baby’s nursery or room theme. The hues have a heathered look to make them more eye-appealing. The value of this product comes in the form of the properties of the sheet. The cotton material is breathable and moisture-wicking to be ideal for any season, weather conditions, or climate. This three-pack of sheets has different designs and color patterns in a cotton jersey knit that is hypoallergenic. Designed for girls because of the pink coloration, the superb fabric is cozy, breathable, and soft and free of harmful substances. It will fit snug around standard toddler and crib mattresses since the elastic band is of high quality. The sheet stays firmly in place and is simple to put on, plus it can be machine washed and dried. The elastic band around the perimeter is long-lasting and durable to withstand many washings. It will not even come loose from the mattress when the child moves in the bed because it has nine-inch pockets on the corners to keep it snug. Just like many other sheets that we highlight on this page, this set too is made of a jersey cotton knit that is super soft and highly comfortable. This marvelous material will keep the child from sweating because it is so breathable. Fitted sheets, like this one, are so easy for parents to place on the mattress of the toddler or the crib. With the simple elastic band around the edge, it just slips over the corners and around the bottom. You get three differently colored sheets in this fantastic set that is designed for girls in shades of pink. This way, you will always have one ready to use that is clean and dry for the bed. No harmful substances were used in the creation of this sheet set to become a hazard for the child. The tender skin of babies should not be exposed to toxic fabrics, and with this item, they will not. Choose from thirty-eight different colors and four package sizes for this outstanding sheet product from the American Baby Company. Made of jersey knit cotton fabric, it fits regular toddler and crib mattresses well and is made for both boys and girls. Exceptionally comfortable just like a t-shirt, this item has colors and designs that will match any bedding and nursery theme. There are deep pockets on the corners that are nine-inches across, and the strong elastic trim covers the whole edge of the sheet. It can be machine washed and dried, plus it fits a mattress that is five-inches thick the best. This terrific item is made by a long-standing company that offers superior value and quality with their products. Jersey knit of cotton fabric seems to be all the rage for sheet and bedding products. 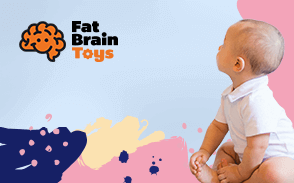 It is ideal for babies because of their extra-tender skin and possible skin sensitivity to various types of materials. Slipping a fitted sheet on a mattress is one of the easiest household chores to do. You do not have to worry about tucking in the edges and corners because it fits perfectly as it is for a snug form. You will have a hard time deciding which colors to choose with this incredible color selection. There are thirty-eight various hues to match your nursery and other bedding pieces perfectly. The many colors, soft stretchy fabric, and the big corner pockets make this sheet one of the best on the market. You will be very satisfied with the performance of this item in keeping your child safe and comforted. 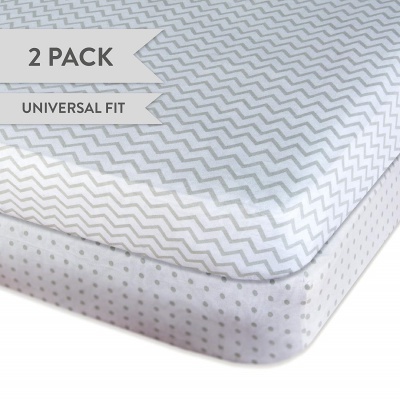 Great for boys and girls with the unisex color of gray, this two-pack of durable sheets comes in the designs of polka dot and chevron. Made of 100% cotton jersey knit of high-quality, they fit standard mattresses well of toddlers and cribs. The strong elastic band is tight and doubly reinforced for the best safety and durability. The breathable and soft fabric with a welcoming texture will not bunch, be too loose, or fit badly. It washes easily of dirt and stains in a machine washer and dryer. 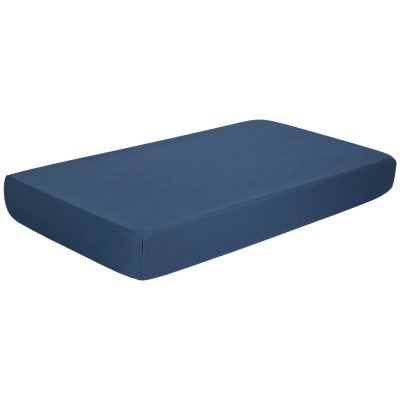 The generous elastic on the edges is flexible with a tight seal to cover the mattress with a great fit. Babies do very well on sheets made of jersey knit material because it is a very soft fabric. It is perfect for any climate or season and keeps the infant from being too hot or too cold in their bed. You get two wonderful fitted sheets with this product, so you can always have one at the ready. You will not have to fuss and fight when putting this sheet set on the mattress, as it fits quite well on standard mattresses. 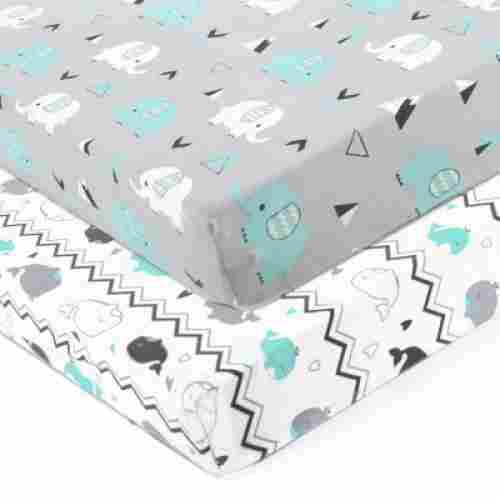 Made for both boys and girls in the neutral gray color and the designs of chevron and polka dot, this sheet set would be an ideal gift for new parents. It will match most nursery décor beautifully. It is always a value to purchase two sheets in a set rather than just one alone. This amazing product is a matching set in a neutral color that suits any gender and nursery pattern well. 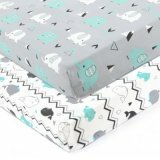 Breathable and hypoallergenic, this Microfiber Silky Soft Sheet works well on toddler and crib mattresses and is great for both girls and boys. Made of 100% brushed extra-fine microfiber weave fabric, it is offered in twenty-three solid vibrant colors and is silky smooth and soft with a luxurious feel. This high-quality and safe product is free of harmful pesticides and chemicals and meets all CPSC safety standards. It has deep corner pockets of eight inches, plus all four sides have the elastic band for securing it to the mattress. Quick-drying and fade-resistant, this superb product can be machine washed and dried for simple cleaning. Created from a microfiber material and not a cotton knit, this amazing sheet is silky and soft to the touch. Your infant will like the feel of this brushed fabric that is breathable and hypoallergenic. Even though all of the sheets on this list are fitted sheets that fit snug on mattresses, they do not all have the same type of fit. This one has deep pockets on the corners that are eight inches for tight control of movement. Almost any nursery or bedding design can be matched well with the huge assortment of colors available for this item. There are twenty-three hues to pick from of the most vivid solid coloration. Being high-quality, safe, and hypoallergenic, this wonderful bedding item is durable and long-lasting for years of comfortable use. You will appreciate the sturdiness and build of this sheet for your baby’s bed. This excellent product is a two-pack of fitted sheets made of a soft 100% jersey knit cotton fabric. One pattern is a gray and white stripe and the other is a gray and white design of cute cartoon lambs. 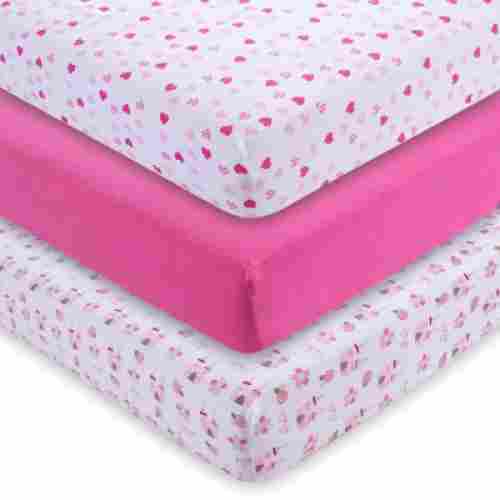 The color and design are great for both girls and boys to fit toddler and crib mattresses well. Breathable and cozy, they ensure all-night comfort for the infant as the cotton is combed and ring-spun for softness and durability. Clean, hypoallergenic, free of pesticides, and pre-washed, the material gets softer with each wash. These lovely sheets can be machine washed and dried with dirt and stains washing away quite easily. The overall fit is snug and secure with the elastic band encased around the complete edge of the sheets. They have ten-inch pockets in the corners that are deep, so the sheets will not come unfastened from the mattresses even with infant movement. Combed and ring-spun cotton is what makes these incredible sheets for infants so cozy and comfortable. Perfect for any season and climate, they will be the highlight of the baby’s day to nap and sleep on. Getting softer with each wash, these terrific sheets will make you quite pleased with this purchase. They come to you pre-washed already to be very soft and supple but get better with age and wear. Gray stripes and cute lambs are the patterns of these fantastic set. It is perfect for both genders of babies because of the gray neutral color and simple cartoon design that will suit any décor. A set of two sheets gives you the added flexibility and comfort of being ready with a clean and dry sheet all the time. Use one and keep one ready to care for the baby at all times. Available in seventeen pastel gorgeous colors for girls, this cotton flannel sheet is made of soft chenille material that is very comfortable for the infant. It has a construction of three panels of 100% polyester that is velvety soft for a fit that is smoother than regular jersey knit cotton sheets. The deep pockets are nine inches for a fit that is secure and safe with the all-around elastic on the edges. This excellent item works well with most crib mattresses of standard size and can be machine washed and dried for easy care. 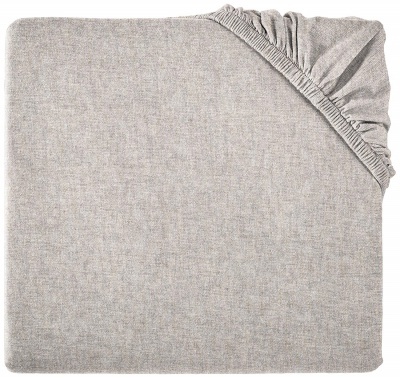 Unique to this list of soft sheets for babies is this item made of a comfortable chenille fabric. You will love touching this sheet material yourself because it is so luxurious and cozy smooth. It is simple to put this sheet on the crib mattress because it is designed to fit perfectly to the dimensions. 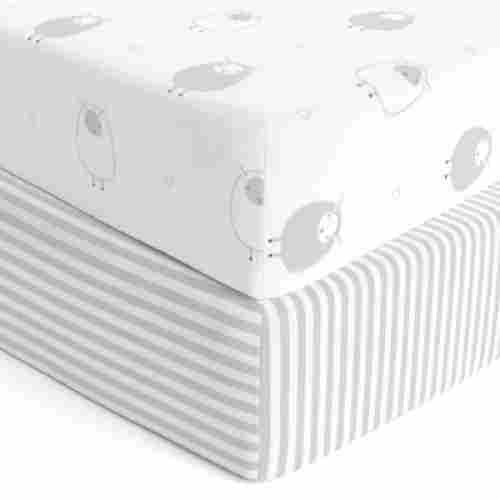 Made just for crib mattresses, it will be snug and form-fitting for the best safety and comfort. Choose from seventeen lovely soft pastel hues for your little girl’s bed with this exquisite sheet product. You will certainly be able to match any nursery or bedding pattern with this incredible assortment. With all-around elastic, deep corner pockets, and chenille material, you will be so glad that you bought this item for your child. it is a valuable product for the price as it is so comfortable and eye-catching. Great for both girls and boys, this Touched by Nature sheet product is offered in thirty colors and various cute patterns. One sheet is a solid neutral color and a general pattern while the other has an adorable printed animal cartoon design. 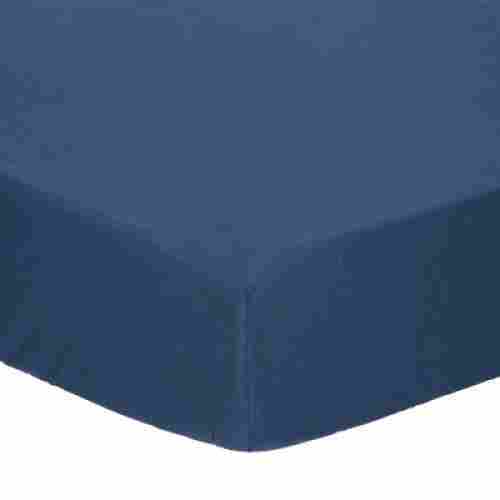 This product is a set of two fitted sheets that are ideal for standard crib mattresses. There is a strong elastic all around the edge of the sheets, so they will fit the majority of toddler mattress models too. This wonderful set would make a perfect gift for new parents or a nice present at a baby shower. Made of a soft cotton fabric, both you and your infant will love the comfortable feel of this sheet set. Both pieces will become softer with each wash as the fibers are lessened of their stiffness. It will be easy for you to always have a clean and dry sheet at the ready with this superb set of two items. They fit snug and safe on the toddler or crib mattress to make your baby comfortable as he or she sleeps and naps. You get the flexibility of using different sheet patterns with this lovely set of various designs. One day use the cartoon design and the next go with the solid color for a change of appearance. Purchasing two sheets in a set is always a smart buy because you need clean sheets all the time for a baby. Spills and accidents come easily when raising an infant, so the two sheets is a terrific value. Our first and most important criteria are that the crib sheets we selected be comfortable against your baby’s sensitive skin. No parent wants to take their well-rested baby out of the crib to find irritated skin from a rough sheet. Comfort is key with little babies, they are new to the world and came from a place of maximum comfort. In order for your little one to get the best sleep possible they must have the highest comfort and safety levels possible. The softness of your crib sheets can positively affect your baby’s sleep. Use a soft crib sheet and both you and your baby will be pleased with the comfort provided. These items are easy to put on and easy to remove, plus they go on a crib mattress the same way they go on a traditional mattress. Just pull the elastic around the mattress corners and you are ready to help baby settle down for some quality rest time. One big issue with fitted sheets is that they have a tendency to slip out of place with extended use. After a few days of getting into and out of bed a corner might shift off. This is not the case with the crib sheets on our list. They are all sized to perfectly fit a standard sized crib mattress. These products have elastic edging and corner stitching to help them stay in place even with the wiggliest infants. You will love the many patterns, colors, and fabric styles of these sheet products listed here. Most of them have a huge assortment to choose from to best match your nursery décor or bedding patterns. Some of these are just for girls or boys, but the majority of the items are perfect for either gender with their neutral colors and cute designs. The construction of these products is of the best quality to fit the mattress of the crib or toddler bed well and stay on with a snug fit. They are made to last a long time and be durable and dependable to your needs of caring for your child. Made of the softest fabrics with all-around elastic and deep pockets in the corners, these sheet items have great value for the parent of a baby. 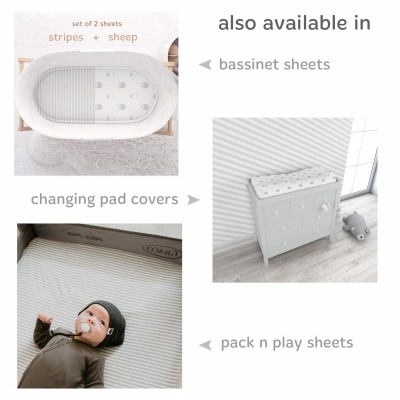 Add to these features the wonderful selection of patterns and colors, and you have some terrific products to fit the crib mattress for a comfortable nap or bedtime. These are simple and easy to care for because they go on so quick and easy and can be washed and dried fast in a machine. Fitted sheets for cribs are the best solution to outfitting the baby bed because they are so easy to care for and use. For many parents, the crib sheets are an afterthought. They just go with the set that matches their nursery or whatever was given to them at the baby shower. Crib sheets should really be thought about more since the sheets on the bed help determine the comfort level almost as much as the mattress itself. Parents love to sleep in a comfortable bed with soft, cozy sheets and so do babies. Soft sheets help to avoid unnecessary skin irritations. You want to keep materials near them that are going to promote softness and luxury so your baby can be comfortable and not irritated. All of the sheets we have picked for our list have multiple safety features. Because of the threat of SIDS and other hazards for infants in cribs, it is important that the sheets and covers for babies be on properly at all times. You must make sure that the sheets you select will stay firmly in place. 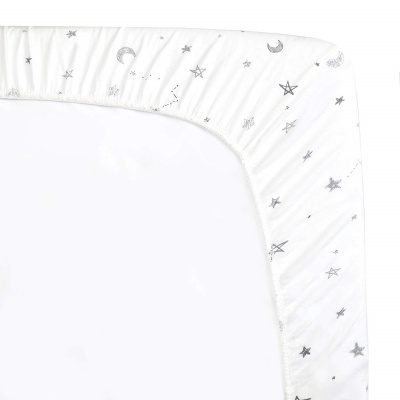 The elastic edging ensures a snug fit around a standard sized crib sheet. You will not have to worry about your little one getting tangled in these sheets, as long as they are properly managed daily for wrinkles and folds that can occur naturally from wear and use. 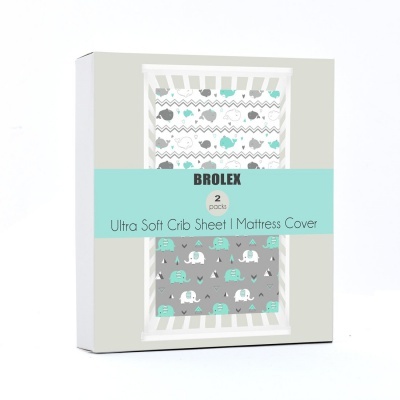 The strong materials and durable elastic around the edges make these sheet items so durable and long-lasting for the parent. With each washing, they will get to be softer than before and will possibly have a better fit than when they were first received. You can expect to keep and use these superb products for many years. Even when the child grows to be a toddler, they can be used on those bigger beds, as the elastic and material will stretch to fit those bed sizes too. q: Can't my baby just sleep on the crib mattress? No, your baby should not sleep on a bare crib mattress. Crib mattresses are made of a waterproof plastic-type material that can be harmful to a baby’s sensitive skin. If you lay your baby directly on the crib mattress they could stick to the plastic material and damage their new skin. q: How many crib sheets do I need? You will want to have between four and six crib sheets for your baby. You need this many crib sheets because you will have to have extras around when you are washing dirty sheets. q: Why do crib sheets have elastic? 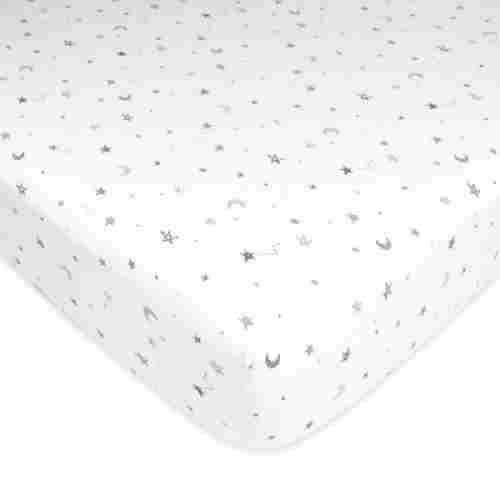 Crib sheets need to be able to stay securely on the crib mattress. This is for the safety of your baby. 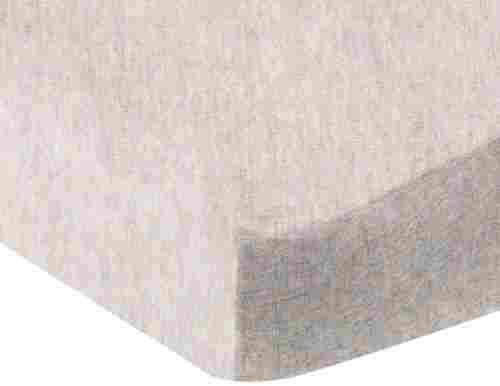 The elastic on the edges of the crib sheet holds the sheet in place as your baby sleeps and moves around their crib. q: How do I clean a crib sheet? You will clean a crib sheet the same way that you clean a regular bed sheet. If you are using specific gentle baby detergent, then wash your crib sheets with that detergent. Otherwise, crib sheets can be washed in the washing machine and dried in the dryer. Check your sheet’s care tag for specific water temperature and dryer heat setting. q: Where is the top sheet? You should not use a top sheet with babies. Top sheets can get tangled around your baby and cause them to have respiratory distress or get tangled around their arms or legs and cause your baby to lose blood circulation. Both of these scenarios are very scary to deal with. Top sheets are best avoided until your child is over two years old. q: Why can’t the baby have a blanket? Babies should not sleep with blankets for the same reason they do not sleep with top sheets. The thicker material of blankets can be even more dangerous than top sheets. A blanket can get in the way of your baby’s airway and cause them to not be able to receive enough oxygen and go into respiratory distress. This is a very scary scenario for all parents and caregivers.